At Green Mountain Quality Assurance (GMQA), we are working on many new and exciting data integrity training opportunities and tools, with an emphasis on forwarding our industry together. Sign-up below to received emails including our Data Integrity & Data Science newsletter, training event schedule notifications, eLearning module launches, and data integrity-related industry and regulatory news. 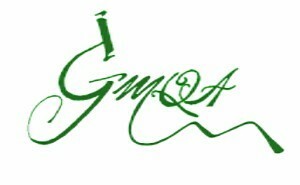 Green Mountain Quality Assurance, LLC will use the information you provide on this form to be in touch with you and to provide our Data Integrity & Data Science newsletter, training event schedule notifications, eLearning module launches, and data integrity-related industry and regulatory news. If you have a data integrity-related question that you would like to submit for discussion in a future newsletter, please submit to info@GMQA.net or via the Contact Us page on our website. Yes, I would like to receive GMQA emails and newsletters. You can change your mind at any time by clicking the unsubscribe link in the footer of any email you receive from us, or by contacting us at info@GMQA.net.